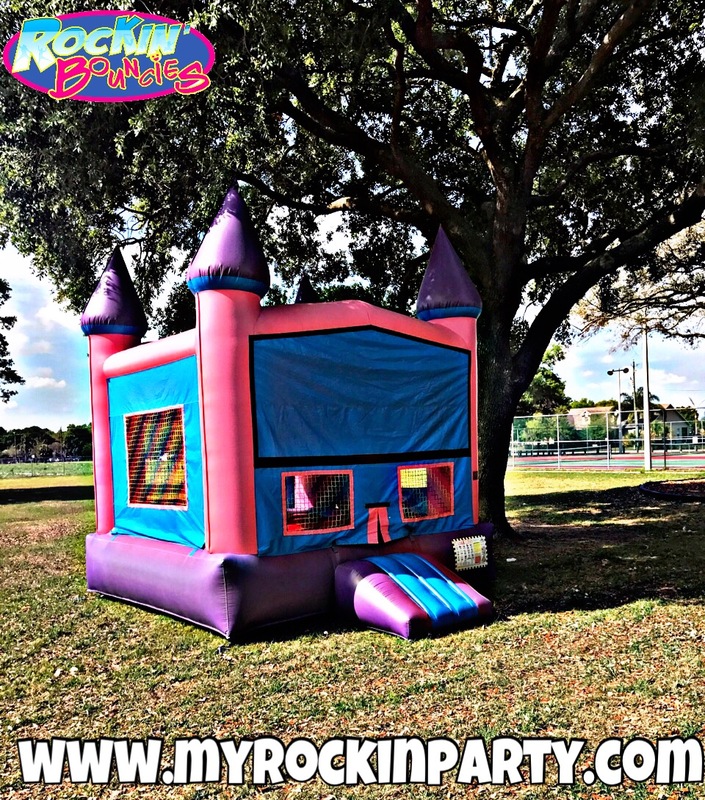 Our 2 in 1 Pink Castle Bounce House is fully customizable! Do you have a theme? Check out all of our AMAZING banners we offer..FREE of charge !! Simply check out the "BANNERS" category and browse through the collection. 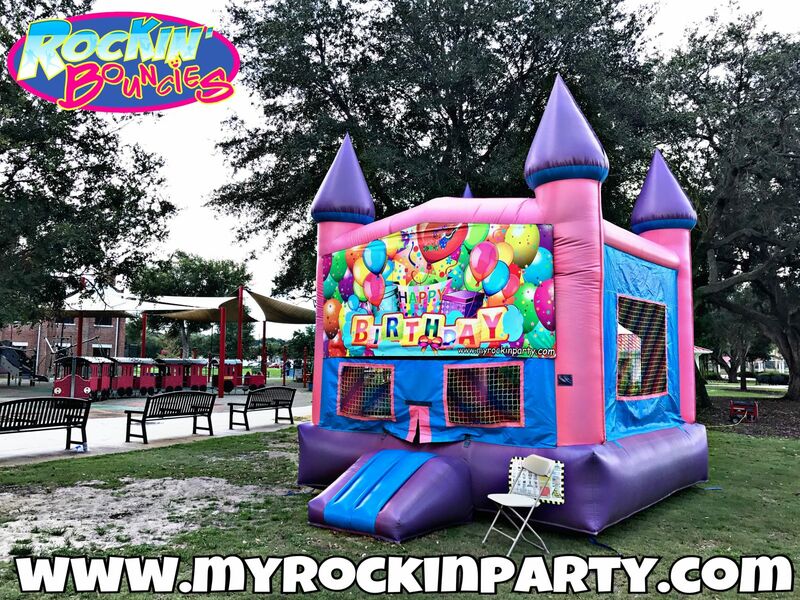 Did we mention....it has a basketball hoop inside? Treat your little guests to an challenging game of air-basketball!